Can an IRS lien prevent a Court ordered sale of a home? Q: I purchased a home in a court sale. I am going through the closing now and found out that the owners can’t sell the house to me because of an IRS lien that should have been removed. The title company says their investigation shows that proper notice was not given of the sale to the IRS and that the court order was not proper. The court says they can’t help me. What should I do in this situation? A: When a bank or other creditor forces the sale of a property, the creditor has the ability to sell the property to satisfy the debt they are owed. Usually, the credit – a mortgage lender – has a first lien position on the property. That first lien position means that the lender has the right to foreclose on the lien and wipe out all other junior creditors. You should know that real estate taxes are generally a lien that will be superior to the lien of a mortgage lender. However, the process requires the lien holder to notify each junior lienholder of its intention to foreclose on the property and force the sale. This notice allows junior lienholders to protect themselves. They can decide to bid at the sale and buy the property for themselves. In a declining real estate market, junior lienholders might not bid on a property and put more money into a bad deal, but the law still requires notice to be given to them. It’s the same situation with the IRS. If the IRS has a lien on the property, the IRS has the right to be notified that a superior lienholder plans to foreclose on the property and sell it. If they don’t get the required notice, the lien isn’t extinguished at the time of the sale. We have to tell you that the foreclosure laws and other laws for the benefit of creditors vary greatly from state to state. You must live in a state where notice of a court ordered sale is of high importance. If you fail to notify one of the creditors, that creditor’s lien remains valid even if the sale has gone forward. Since you have not closed on the purchase, you should take the information that the title company has given you to heart. What they are telling you is that you can take title to the home, but you might be responsible to pay off the federal tax lien that the IRS has against the home. If the lien is one hundred dollars, you might want to take that risk, but if the IRS lien is $50,000, you might not want to bear that risk. 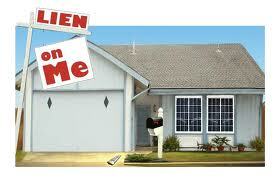 The title company will not insure that when you buy the home, you will have clean title to it. If you are getting financing for the purchase of the home, you might have to put up money at closing for one or two times the value of the IRS lien to get it closed. If you were able to get the lien released, the title company would give you the money back. Otherwise, the money held back might be used to pay off the lien. You might be able to contact the IRS and work out a deal with them prior to the closing on the purchase of the home. If you work with the title company, you might find a person willing to tell you whom to call locally at the IRS for assistance. If you can’t get anywhere with the IRS, you might have to walk from the deal and find a different home to buy.